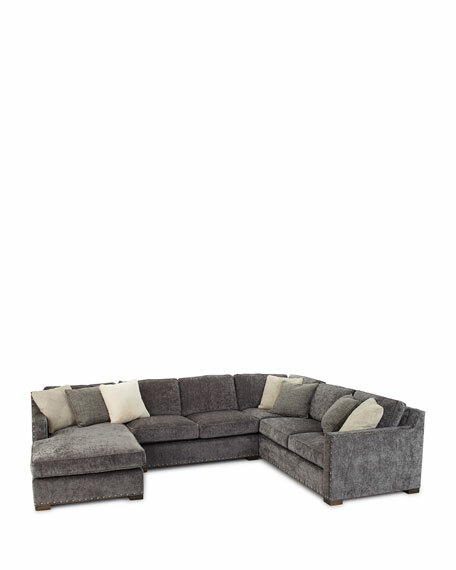 Handcrafted sectional with left-facing chaise. Includes seven 20" square pillows. Mortise and tenon frame construction. Overall: 110"W x 38.6"D x 35"T.
Boxed weight, approximately 350 lbs.